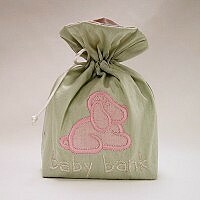 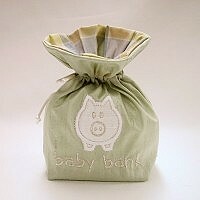 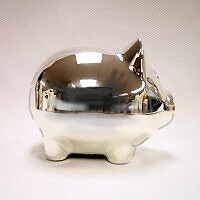 Silver plated banks and rattles are packaged in a solid colored silk drawstring bag with a muted silk plaid opening. 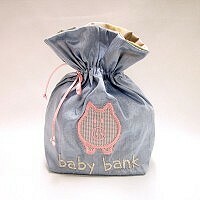 The silk applique on the bag announces the design of the silver bank or rattle that is contained inside. 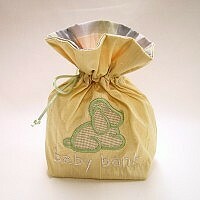 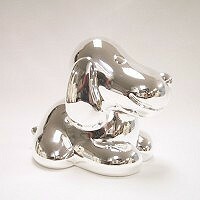 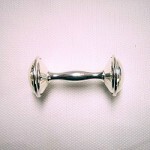 Silver Rattle Bags are available in 3 colors.